Today’s book review is World War Z by Max Brooks. This is an amazing book! It takes the absurd setting of a zombie apocalypse an reshapes it in a more realistic setting of a reporter inquiring about the “zombie war”. The interview style he uses gives the entire book a sense of authenticity, like all of this really happened. He goes into a tremendous amount of detail within the stories of the “interviewees”, telling me he either did a lot of research for this book, or has had many interesting life experiences. 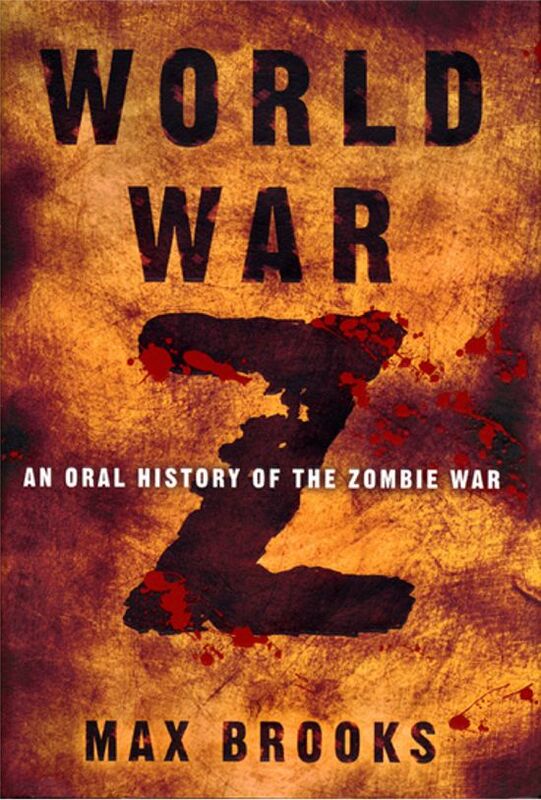 In a sense, the book itself is a number of short stories with the common theme being that “zombie war”. The stories themselves can be hit or miss. A few at the beginning had me just flipping through the pages seeing where they were going, then disappointing that nothing came from them. Later on, though, the stories started getting much better. I just couldn’t put them down! For those who have seen the movie by the same name, this is nothing like the movie. And I’m not saying that in a “the book was better than the movie” way that book enthusiasts tend to say. No, I mean they are really nothing like each other besides the main character’s name and maybe a setting or two. For one thing, the book takes place in the future, after the war ends (I’d mark that as a spoiler, but that’s what it literally says in the back of the book). In the movie, it’s in the present, and the main character is in the middle of it all. But anyways, I’ll leave it at that, as this isn’t a book vs. movie review. All in all, I really enjoyed this fresh take on the zombie genre. The characters introduced seemed very real and relatable, even if they were only introduced one time and never heard from again. It also makes you wonder if this really is how society would respond during such an outbreak. This book has gotten me extremely interested in the zombie genre.